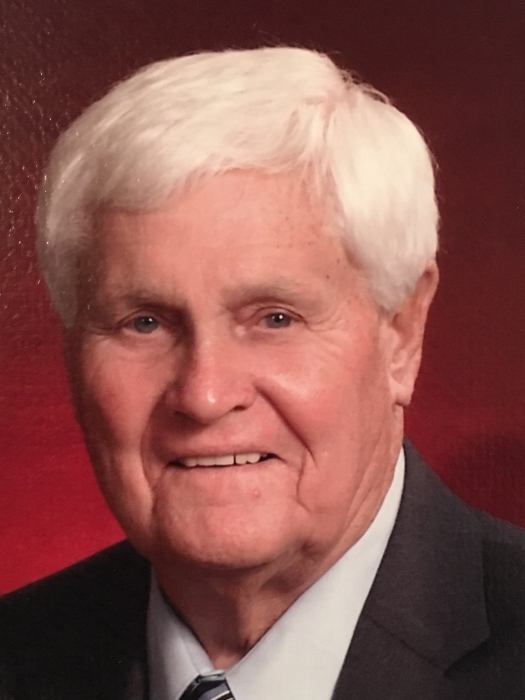 Dr. Billy Thomas Marsh passed away peacefully on Saturday, October 20 at his home in Trussville, surrounded by his family. He was 85. He is survived by his wife of 44 years, Joyce M. Marsh, two sons, Matthew of Trussville, AL and Timothy (Rebecca) of Rutherfordton, NC, two grandchildren, John Alan and Natalie, two nephews, David Brodie and Tom Owens, a niece, Margaret Owens Gordon, and a brother-in- law, Alan Moseley. He is preceded in death by his parents, Claude Thomas and Maggie Hudson Marsh, two sisters, Doris Marsh Temple and Lucille Marsh Thigpen, a nephew, Hugh Owens, a niece, Deborah Breasseale and sister-in-law, Dorothy Moseley. A native of Birmingham, Alabama, Marsh was born in Nectar, Alabama. He was the son of Claude Thomas and Maggie Hudson Marsh.He was a graduate of Woodlawn High School, Howard College (Samford University), and the University of Alabama, where he earned his Masters Degree and Doctorate of Education. Marsh played football and baseball at both Woodlawn and Howard College. Marsh left college following his freshman year to serve the United States Navy as part of VF-22 on the USS Lake Champlain CVA-39 during the Korean Conflict. Marsh began his career in education and coaching at Hewitt-Trussville High School, coaching football, track and golf and teaching science. Later, he coached football at Florida State University, the University of Tampa and Troy State University. Following his tenure as a college coach, Marsh returned to Birmingham, where he began his 28-year tenure with the Birmingham City Schools in administration. He served as Boy's Advisor at West End High School, Principal at Comer Elementary School and Phillips High School, Director of High Schools, and Athletic Director. While Principal at Phillips, Marsh met his wife-to-be, Joyce Moseley, who taught English and Latin. Upon retirement in 1995, Marsh worked for several colleges, including Miles College, Alabama State University and Jacksonville State University supervising education majors in their semester of student-teaching. Marsh was a long-time member of the Birmingham Quarterback Club, the Birmingham Tip-off Club, and the Kenny Morgan Scholarship Fund Board. In 2012, Marsh was inducted into the Alabama High School Athletic Association Hall of Fame, and a member of the Woodlawn High School Hall of Fame. Marsh was also honored by Samford University with a Lifetime Service Recognition Award. He is a past member of the Birmingham Rotary Club and Paul Harris Fellow recipient and a past member of the Masons and Shriner's. He is a life member of the the U.S.S. Lake Champlain Association, a member of the Selective Services Board, a member of the Birmingham-Jefferson Civic Center Board, the Board of the AlaTrust Credit Union, and a Life Deacon at Huffman Baptist Church. Funeral services will be held Wednesday, October 24 in the Jefferson Memorial Funeral Home Chapel, with the Reverends Jack Green, Tim Marsh and Larry Smith officiating. Visitation is prior to the service at 11:00 AM, followed by the funeral service at 12:00 Noon. Interment will follow at the Jefferson Memorial Gardens, with military honors. In lieu of flowers, memorials may be made to Huffman Baptist Church, 700 Huffman Road, Birmingham, AL 35215 or the Kenny Morgan Scholarship Fund, PO Box 1506, Birmingham, AL 35201.